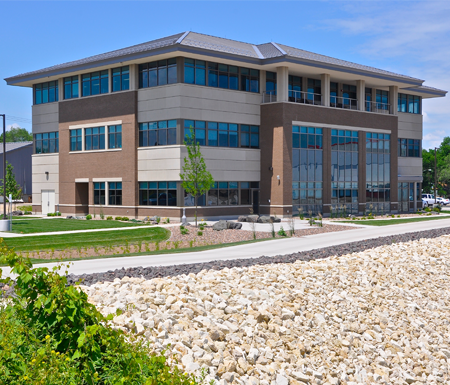 Over the years, Fowler & Hammer, Inc. has had the pleasure of partnering with many area businesses to help facilitate their growth through office building construction. We understand how important it is to create a functional environment that projects a positive and professional image to your community. Your office speaks to your brand while dictating how efficiently and effectively your company functions on a daily basis. Often times, it’s the small details and craftsmanship that separate an average building from something that truly reflects the high quality products and services you stand behind. Trust that with Fowler & Hammer, Inc.’s highly skilled workforce, your project will receive the highest attention to detail from start to finish. Please take a moment to review a selection of our most recent projects within the office building sector.